Video Game Addiction Symptoms: Should I Be Concerned? While there is no official diagnosis for video game addiction, those who have suffered the consequences of obsessive gaming believe that this addiction is definitely as real as it gets, and many treatment professionals would have to agree. Video game addiction, though relatively new, has swept in to take over the lives of children and adults, causing undue hardship, hazardous conditions and a wealth of problems for those involved. Video game addiction symptoms, although not clearly defined as of yet, are beginning to become more and more prevalent in children, teens and adults alike. An individual who shows even just a few signs of addictive behaviors when it comes to playing video games either online, on television or on a phone should consider seeking professional help. Video game addiction is progressive and like other addictions, will become more pronounced and difficult to control over time. Your video game addiction symptoms can be managed! Playing video games occasionally is not necessarily bad for one’s health; in fact, people generally enjoy playing video games. However, when playing video games takes over and distorts thinking causing the gamer to become preoccupied with all things related to gaming there is a problem. Video game addiction symptoms are often difficult to spot at first sight, but for someone to compulsive think about gaming and to have a disinterest in other activities (especially those which were once considered fun) is a sure sign that help is needed. 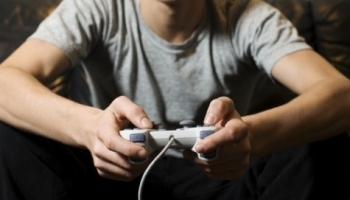 Like any addiction, one of the most common video game addiction symptoms is called tolerance. Tolerance is the perceived need for an individual to play more and more games in order to be satisfied. The gamer may make excuses in order to get more game time, he or she may spend hours playing games and as time goes on, the individual will find that he or she spends more and more time playing and less and less time being involved in other activities. Video game addiction symptoms, like the symptoms of other types of addiction, often revolve around the individual’s lack of control when it comes to a particular behavior. For an individual who is addicted to video games, there is often a time loss that comes with playing. The individual may say he or she will only play for an hour and then wind up playing for 6 hours or he or she may make a commitment to get off the game console or computer in 30 minutes and wind up spending hours playing. For most video game addicts, the symptoms of video game addiction go much deeper than simply being unable to control gaming or to keep track of time. Agitation and anxiety are both very common amongst gamers, especially if their gaming time is cut short or if they cannot game at all. You may notice that your teen gets mad at you if you make him or her do something besides play video games or that there is anxiety when away from the game console. These are two very common video game addiction symptoms and they are symptoms that can require professional help. While overspending on gaming items is not usually a problem for children who do not have control over their money, for adults who suffer from video game addiction, overspending is a common problem. Many adults who are addicted to video games may spend money that they really don’t have, essentially gambling their money away, on video games. Spending bill money, savings or money that is not for recreational use on video games is a sure sign that there is a deeper problem. What is Internet Gaming Addiction? 10 Signs of Video Game Addiction Parents Should Recognize Finding Video Game Addiction Help Alarming Video Game Addiction Statistics What Happens in a Video Game Addiction Treatment Center?